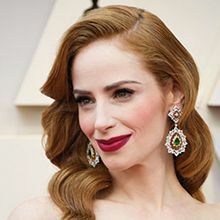 Jaime Ray Newman (class of 1992) is an Oscar-winning producer and actress in Los Angeles. She recently won an Academy Award for "Skin," in the best short film category. We caught up with Jaime before the Academy Awards in Los Angeles, where she resides with her husband and daughter. "Never in a million years would I have thought that a little film we literally made in our garage would have this far of a reach," she said. "I am humbled and overwhelmed by the reaction. Most importantly, we made this film because we felt it was evocative and could stir a conversation." "Skin" has been acquired by Fox Searchlight, and has also been turned into a feature-length film produced by Newman that is making the film festival rounds, and which will open worldwide in July. Jaime credits past teachers Sharon Schwartz and Robin Lash for nurturing her love of theater and performance from age 10. She also fondly recalls past teacher Riva Thatch, a Holocaust survivor, from whom she learned about the Shoah. "That is something I still think about," she said. 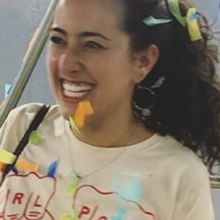 Newman says she was happy to spend nine formative years at Hillel, where she could grow and develop from childhood to an early teen, and that school instilled in her a love for education and reading, "something I do every night for an hour before bed." 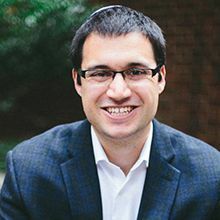 Yoni Nadiv (class of 2003) is pursuing a Ph.D. in Talmud at Yale University. 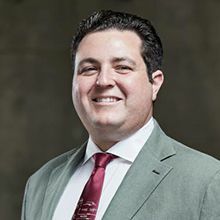 Sanford Nelson (class of 2003) has been named to Crain’s 40 Under 40. Read more here. Mitch Adler (class of 2004) is co-founder of SkyRyse, an air emergency response service. Read more here. 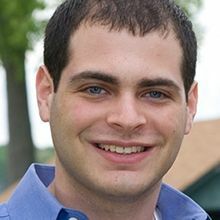 Michael Brodsky (class of 2004), a VP at Countable, holds a degree from the London School of Economics, and is a whiz on the intersection of technology and politics and how democracy can be improved through civic technology. Read more here. Hillary Dorman (class of 2006) is at the University of Alabama getting a PhD in clinical geropsychology, and recently received an award for excellence from the Society of Clinical Geropsychology, recognizing her work in community engagement. 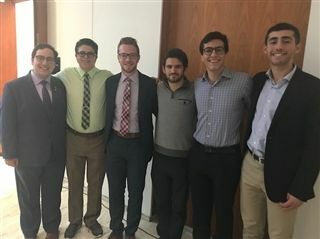 Stuart Baum (class of 2011) (Student Senate President, Wayne State University), Sam Grand (class of 2012), Jeremy Rosenberg (class of 2013) (Master, Xi Colony AEPi), David Sable (class of 2010), Adam Weinbaum (class of 2013), Nisim Nesimov (class of 2013), have established a Jewish presence at Wayne State University doubling the AEPi fraternity their second year as a fraternity on campus. 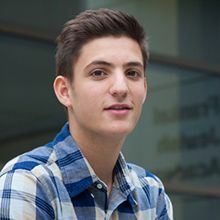 Connor Tukel (class of 2011) recently finished an internship at the Pasteur Institute in Paris. 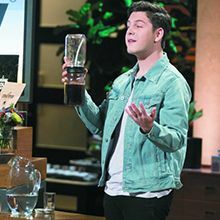 Max Feber (class of 2013) has landed a $50,000 Shark Tank deal for BRUW, a system for making cold brew coffee at home. 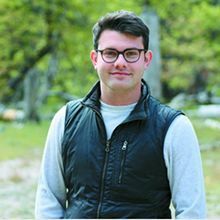 Max, who has been an aspiring entrepreneur since he was 8, attends Babson College. Check it out!